• 100mg Velvet Swing Cannabis-Enhanced Sensual Lubricant 25% OFF! • 100ml Green Revolution Muscle Melt Gel Infused Warming Lotion 25% OFF! 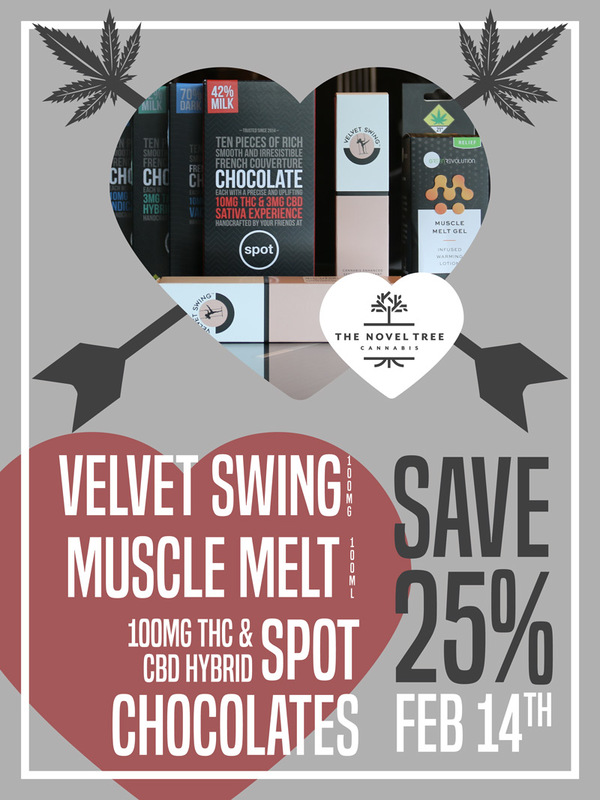 • 100mg THC & CBD Hybrid Spot Chocolates varieties 25% OFF!